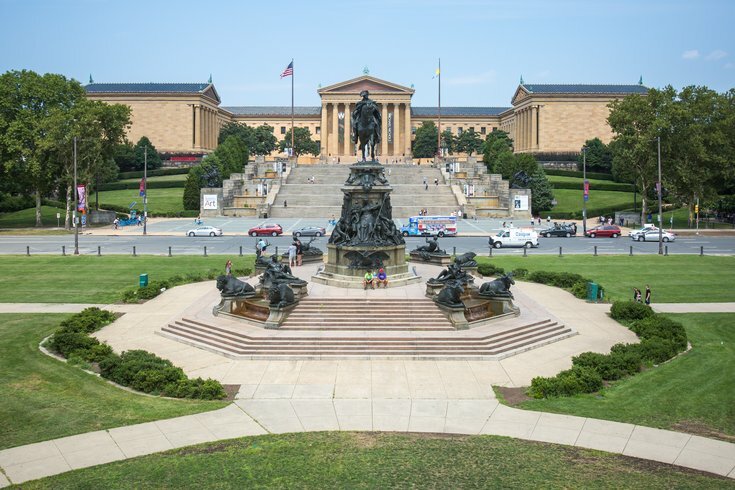 Eakins Oval and the Philadelphia Museum of Art. Every month, the Philadelphia Museum of Art hosts a big, themed party as part of the museum's Final Fridays series. On Friday, March 30, the next one will take place. The theme will be "Spring Fling." There will be New Orleans music, an astrologer-led tour through the galleries and a flower arrangement tutorial. All activities are free with museum admission, which is $14-$18 per person. Attendees can also purchase seasonal cocktails and tapas while there. Below is the full schedule of events. • Starting at 5:15 p.m., a local DJ will start spinning tunes in the Great Stair Hall. • Between 5:30 and 7:30 p.m., attendees can learn how to make paper flowers. • There will be a tour through the galleries at 5:45 and 6:30 p.m. Astrologer Sue Morris will lead groups on a search for celestial signs about the personalities of favorite modern artists. • At 6 p.m., Nicole Rossi from Texture Florals will demonstrate how to create a flower arrangement inspired by Severin Roesen's "Flower Still Life with Bird's Nest." For this activity, a free ticket is required after museum admission. Space is limited. • There will be an in-gallery performance by storytellers from First Person Arts at 6:15 p.m.
• At 6:15 and 6:45 p.m., a one-act play will be performed. • Sweet Crude from New Orleans will play music for attendees, beginning at 7:15 p.m. The musicians sing English and Cajun-French lyrics, set to indie rock.